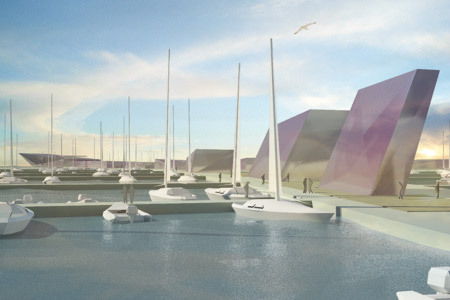 The Marina and Sailing Center of Saint Petersburg is Russia’s Yachtsmen’s new Gateway to the Baltic Sea. 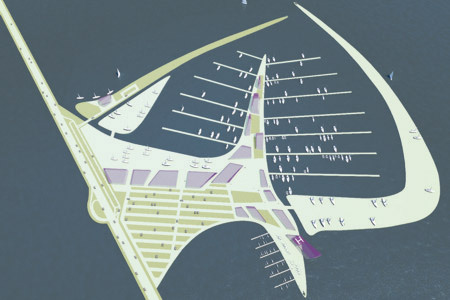 The Marina is dimensioned for 900 berths with all assigned facilities operating seasonal. The Yacht Club with its associated Sailing School is open year-round in order to provide a meeting place for the club-members and trainees. 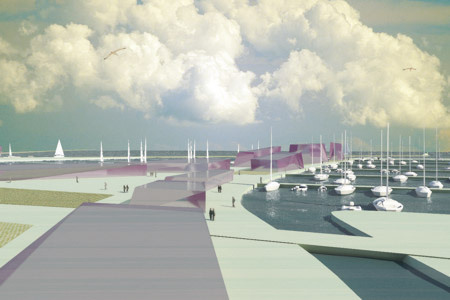 The plot is situated on an artificial organically shaped triangular peninsula, encircled by several smaller islands being breakwaters, a yacht lot and a public recreation area. The three major functions Marina Infrastructure, Marina Services and Sailing Center are arranged closely related to each other providing briefest walkways and easy orientation for sailors, guests and personnel.